AVG Anti-Virus Free Edition is trusted antivirus and antispyware protection for Windows available to download for free. In addition, the new included LinkScanner® Active Surf-Shield checks web pages for threats at the only time that matters - when you're about to click that link. AVG Anti-Virus Free Edition is only available for single computer use for home and non commercial use. Basic antivirus protects your computer against dangerous viruses, worms, spyware, Trojans and costly dialers. SUPERAntiSpyware Free Edition is 100% Free and will detect and remove thousands of Spyware, Adware, Malware, Trojans, KeyLoggers, Dialers, Hi-Jackers, and Worms. CCleaner is the number-one tool for cleaning your Windows PC. It protects your privacy online and makes your computer faster and more secure. Easy to use and a small, fast download. 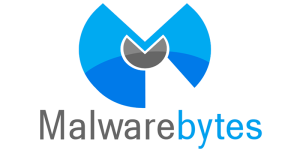 Malwarebytes Anti-Malware Free utilizes Malwarebytes powerful technology to detect and remove all traces of malware including worms, trojans, rootkits, rogues, dialers, spyware and more. Make PDF files for different uses, including online viewing, eBooks, office printing, and prepres. Append PDF files after they are converted. OpenOffice.org 3 is the leading open-source office software suite for word processing, spreadsheets, presentations, graphics, databases and more. Can also read and write files from other common office software packages. FBackup is a free backup software for both personal and commercial use. It protects your important data by backing it up automatically to any USB/Firewire device, local or network location.